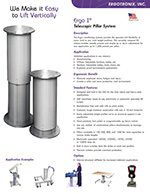 Ideal for inspection and quality control. 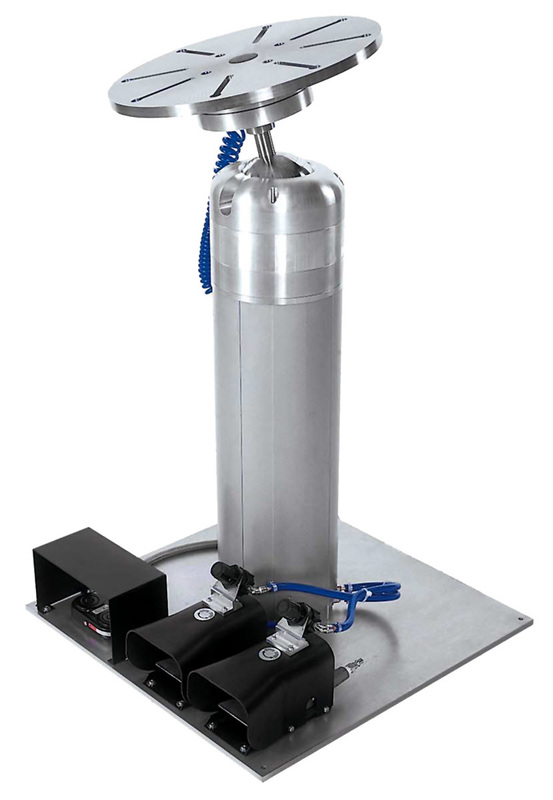 We engineered, designed and manufactured an air over oil pneumatic work positioner for inspection of metal automotive parts. This work positioning tool provides the operator with the ability to move items in any position, with 360 degree rotation, adjustable height and tilt. 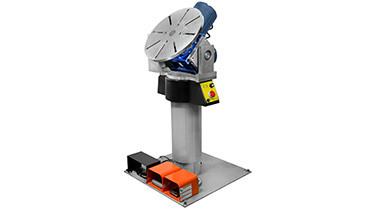 This motorized compact work positioner has bi-directional turntable rotation, variable speed, tilt and work height adjustment. 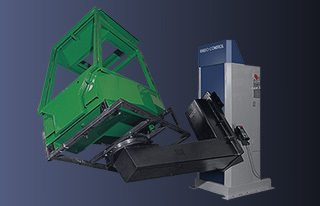 A unique, patented work positioning system that provides the operator with full flexibility to move work in any position, with full 360-degree rotation, adjustable height and tilt. Ideal for any project, no matter what application or shape of object. Adaptable to any work fixture. 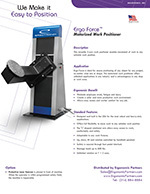 Available in bench (2-axis) or floor mount (3-axis) configurations. Operator adjustable friction resistance assures a smooth and balanced transition between work positions. Lock mechanism provides the operator a safe movement to any desired position under movement friction, without having to hold or balance the work. 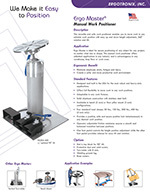 Adjustable work positioner is available in bench mount or floor mount configuration with 50 lbs., 150 lbs., 300 lbs. load capacities. The Ergo Chief adjustable work positioner provides full 360-degree variable, bi-directional speed rotation for productive work positions. The operator can safely rotate, smooth tilt, lift, reverse rotation, and start/stop with a hand pendant controlled. Rotational direction and speed is adjusted from the control panel. 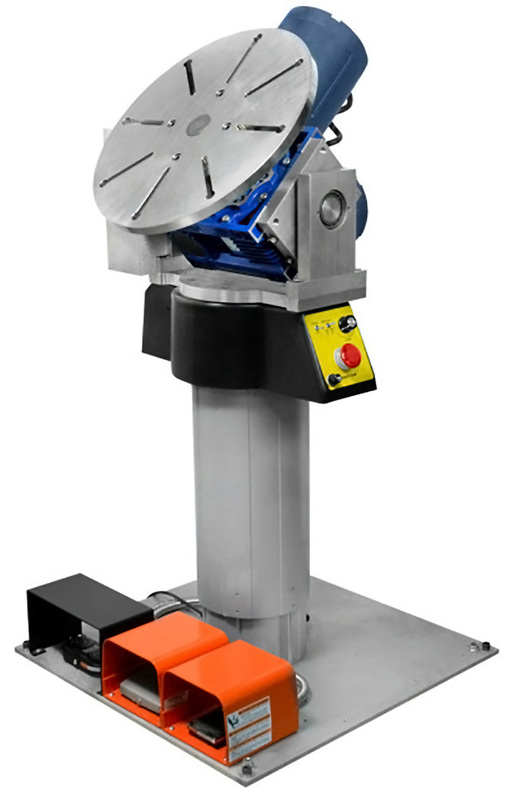 The round top mounting plate features eight concentric radial mounting channels for easy attachment of user applied tooling, parts etc. Slotted turntable easily accepts mounting of any tool, fixture and work part. 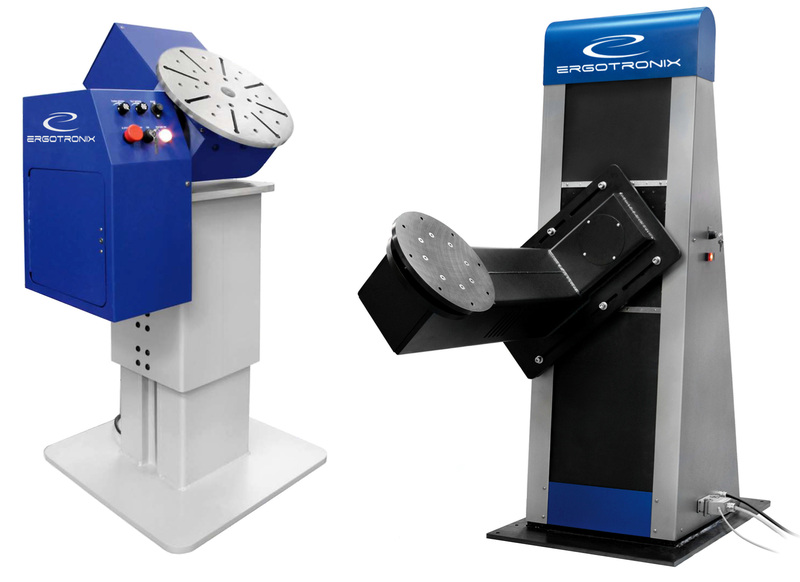 Horizontal or vertical turntable models. 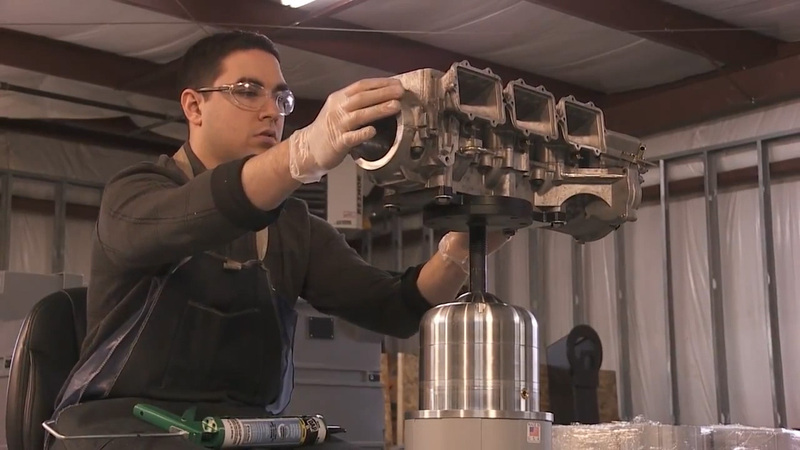 Adjustable work positioner has a maximum capacity of 400 lbs. Flexible to move work to any suitable work position. The "L" shaped rotational arm allows easy access to work, comfortably and safely. Unlimited rotation on Y + Z axes. 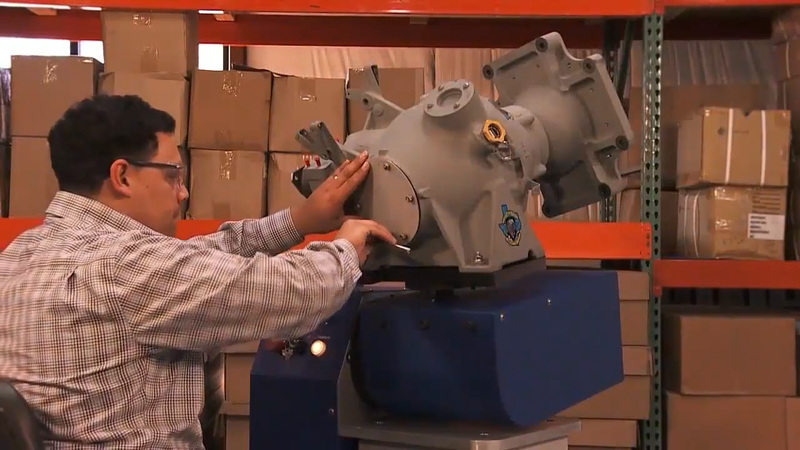 Ergo Control is a 3-axis programmable work positioner that provides full position control to optimize a work sequence that suits each work condition and operator needs. 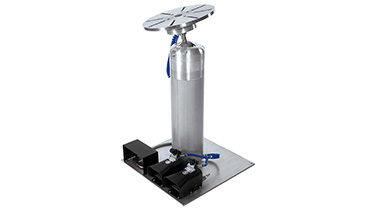 This unit makes handling large objects safe and easy. 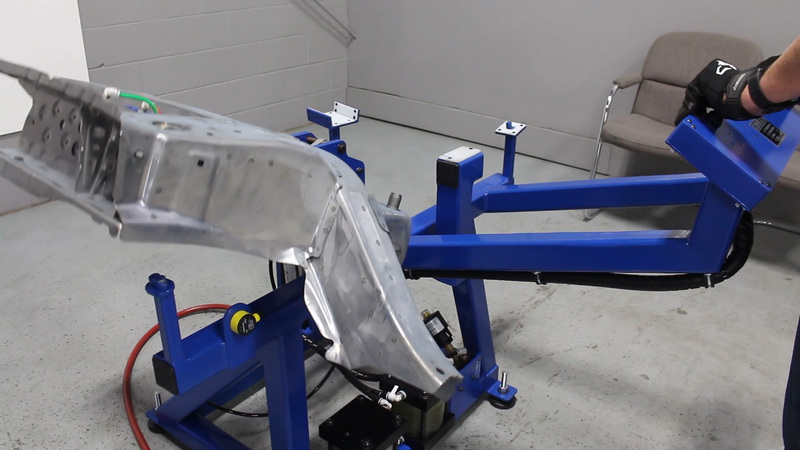 The "L" shaped arm of the positioner makes it possible to always reach any surface of the work piece in a comfortable working position. Even turning a work piece upside down is now easily possible. 3-axis (X, Y, Z) or 2-axis (X, Y) positioning configuration. Unlimited rotation on axis (Y, Z). Quick and easy downloading of any stored program. Ideal for welding, grinding, assembly, etc. 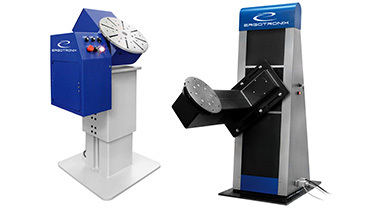 Available in 6 standard load classes 3-axis: 330, 660, 1,650, 3,300, 6,600, and 13,200 lbs. loads. 2-axis: 660, 1,100, 2,200, 4,400, 8,800 and 17,600 lbs. loads. 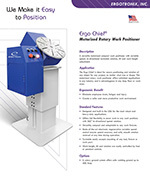 Ergonomic Partners sells manual and motorized work positioners; serving clients from coast to coast, Canada, Mexico and especially focused in the states of Missouri, Illinois, Indiana, Kansas, Arkansas, Mississippi, Nebraska, Tennessee, Kentucky, Iowa, and Oklahoma.